New York Times Article Misleads On The Moral Acceptability of Climate Change Policies. Many observers of the state of global response to climate change have concluded that there is no hope in preventing devastating climate change harms unless nations and individuals understand that they have ethical and moral responsibilities that are not captured by framing climate change as a matter of economic interest or welfare maximization alone not to mention that framing climate change policies as matters of economic interest distorts and ignores ethical responsibilities. For this reason, there is a growing consensus among serious observers of national commitments on climate change, that the only hope to increase national ghg emissions emissions reductions targets to levels that will avoid dangerous climate change impacts is to find ways to assure that national ghg targets are based upon “equity” and justice. A New York Times article on September 11, 2013 makes a greatly misleading claim about the moral basis for action on climate change. The article, Counting the Cost of Fixing the Future, by Edwardo Porter, erroneously claims that a moralist would respond to climate change by demanding that the price on carbon be significantly higher than what the business world would recommend the price should be ($65.00/ ton versus $13.50 /ton). 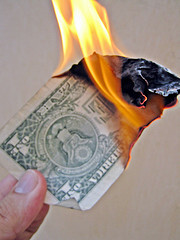 Although the article doesn’t say explicitly that that if the social cost of carbon is high enough there are no moral objections to using welfare maximization considerations as the basis for determining the acceptability of climate change policies, this is implied by the article because the use of the social cost of capital calculations by policy-makers is almost always used in cost-benefit analyses. The problem with this claim is that there is an unexamined premise in this article that is deeply ethically flawed. The article assumes that whether a government should act to prevent climate change depends upon whether a proposed government climate change policy will increase welfare after the social cost of carbon is calculated and compared to the costs entailed by reducing greenhouse gas (ghg) emissions. There are strong strong moral and ethical reasons against using the social cost of carbon in this way. Some governments and individuals more than others are more responsible for climate change because they have much higher emissions of ghg in total tons, per capita levels, and historical contributions to elevated atmospheric concentrations. Justice requires that these considerations be taken into account in determining emissions reductions targets. Some of the poorest people in the world who have done almost nothing to cause climate change are the most vulnerable to climate change. These people will suffer the most if governments and individuals refuse to reduce their emissions based upon “efficiency” or “welfare maximization” considerations. These people have not consented to be harmed because costs to polluters of reducing their emissions are high. “Efficiency” and “welfare maximization” justifications unjustly sacrifice vulnerable people to the economic prosperity of the entire community. The harms to vulnerable people from climate change are not mere reductions in economic welfare, they include catastrophic loses to life and damages to ecological systems on which life depends. 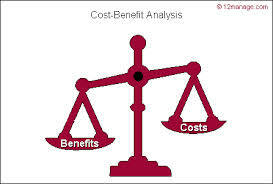 Damage estimates on which the social cost of carbon are based are not evenly distributed. Some places more than others face catastrophic risk. People in these places have not consented to be harmed. Theories of procedural and distributive justice prevent these people from being harmed without their consent. Climate change will interfere with the enjoyment of human rights. Those who violate the human rights of others may not use “efficiency” or “welfare maximization” justifications for violating the human rights of others. Nations and individuals have ethical and moral duties to reduce the threat of climate change, not simply economic interests. These are only a few of the ethical and moral problems with the use of social cost of carbon calculations in cost-benefit analysis as justification for non-action on climate change. 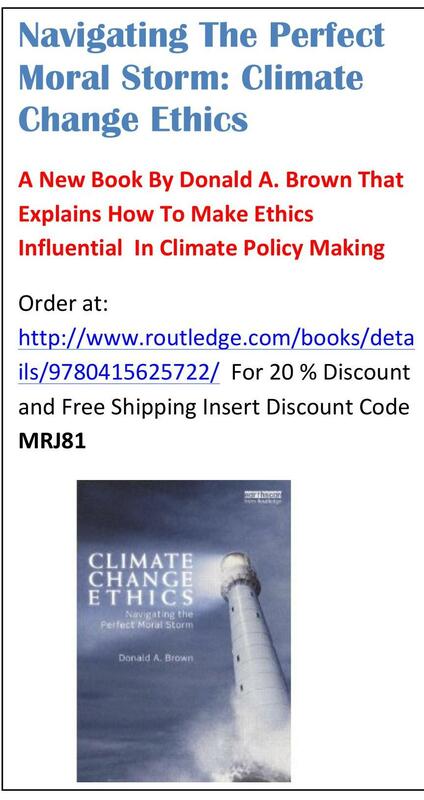 For additional ethical problems with economic arguments made about the acceptability of climate change policies see articles on this website under the category Economics and Climate Change Ethics in the Index. The New York Times article makes a claim about what moralists would do which is very misleading because it implies that as long as the calculation of the social cost of carbon is high enough, there are no moral objections with the use of welfare maximization calculations as the basis of climate change policy. The New York Times article should have acknowledged that there are ethical objections to a nation basing its climate policies on cost-benefit analyses. One of the reasons why there has been a widespread failure of citizens to understand their ethical responsibilities to reduce the threat of climate change is because free-market fundamentalist ideologies have successfully framed the climate change debate as a matter of economic interest rather then global responsibility. The New York Times article implicitly continues to encourage people to look at climate change policies as a matter of economic self-interest rather than ethical obligation. This both distorts and hides obvious ethical problems with national and individual responses to climate change.